NH OIL Undercoating with is a safe, affordable, extremely effective way to extend the life of your vehicle against damage caused by salt, liquid de-icing and winter driving conditions. NHOU Undercoating is a safe, affordable, extremely effective way to extend the life of your vehicle against damage caused by salt, liquid de-icing and winter driving conditions. It is designed to penetrate the seams and crevices. It eliminates moisture. It actually terminates rust and corrosion in all metals, it protects vinyl and plastic surfaces from UV rays and improves the function of moving parts through lubrication. NHOU Undercoating with is self-healing and is constantly creeping, remaining active to continuously repel moisture and keep it away from the metal surface. It penetrates into even the tightest seams and spot welds delivering a effective and comprehensive protection. 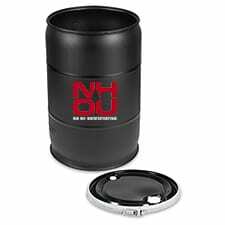 NH Oil Undercoating offers powerful corrosion protection for all metals and superior lubrication for all moving parts. Long lasting, and made of the highest quality corrosion preventives and lubricants available on the market today. Thixotropic liquids and gels some have been used for over 55 years in the highly corrosive marine environment of ships and offshore drilling rigs. More recently they have been introduced and successfully utilized in the lawn & garden, aviation and automobile industries, as well as providing an environmentally friendlier solution for home maintenance. Facilities where they are used include government, commercial fishing, gas companies, farming, salt, power, and industrial plants. Our product is formulated specifically for the automobile undercarriage, by the people who perform the service.